The Easter Sunday sermon for April 21, 2019, based on Luke 24:1-12. We explore the meaning of Jesus' resurrection for the disciples and for us today. We explore who were chosen to be Jesus' very first evangelists to the resurrection and how everything about that day flew in the face of expectations. Come and watch to discover what that means for each and every one of us. The sermon for Sunday, March 31, 2019, is based on Joshua 5:9-12. 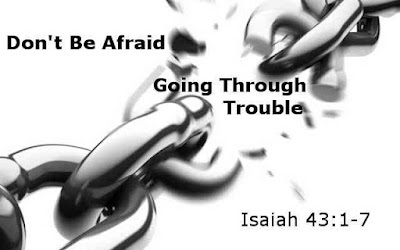 In this text the people of Israel, facing exile in Babylon, are reminded of a time when they were faithful to God, followed God's law, and were bold and courageous. It was an inspirational message designed to turn the faithful toward God and the hope of an eventual return from exile. It may be equally inspirational for us today. Come and watch! It looks like we had a momentary hiccup with the recorder toward the end of the sermon. Sorry about that. We continued our study from N.T. Wright's book The Day the Revolution Began. Thursday we explored new goals for a new humanity, which proved to be quite interesting. Come and watch. We're glad you're here. Pause with me for a moment and consider kindness as a way to draw closer to God's plan for our lives this Lenten season. On Tuesday, March 26, 2019, we completed chapter three and moved into chapter four of Ruth. You need to know that we covered a lot of mature material of a serious nature concerning the treatment of women and foreigners, back in Ruth's day and today.. You might want to make sure young children are not in the room as you listen. I had to sort out some technical difficulties to get the live stream back on track (which is why last week there were no episodes of the Bible study or the Lenten Live Stream (Thursday evenings in Lent until Maundy Thursday at 8 p.m. Come and watch. 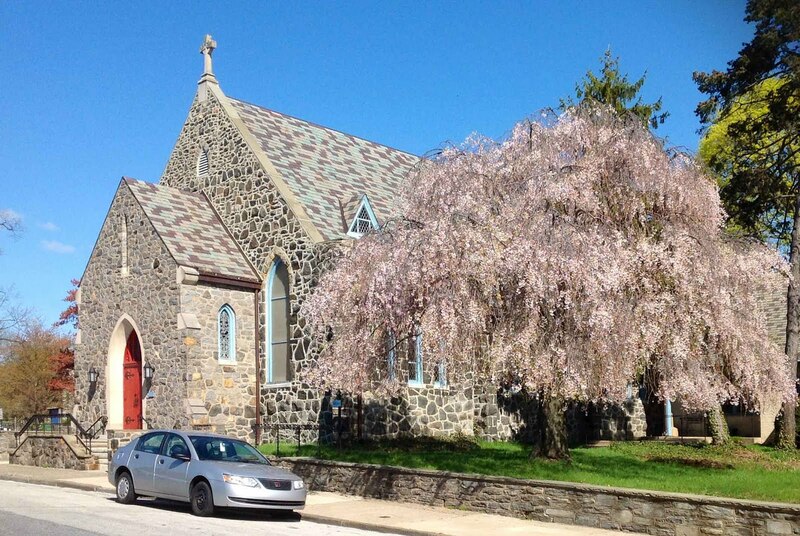 The sermon for Sunday, March 17, 2019, is based on Luke 13:31-35. In this scripture Jesus must leave Jerusalem to its own devices as its people by in large will not accept the word of God Jesus offers. They will not allow themselves to be enveloped by Jesus' protective care. Decisions have consequences. We too must decide for ourselves if we will follow Jesus or be left to our own devices. During the course of the sermon, we explored a response to terrorism Christians should take. Come and watch. Sermon for Sunday, 3/10/19, the first Sunday of Lent, based on Daniel 6:16-22, Daniel in the Lions' Den. While the story is best known for the dramatic scene in the lions' den, it is really about something else. About what is possible under God's reign for those of faith ... and how we entrap ourselves in our pride, our ego, our belief some things can never be changed. Come and watch to see how to be freed of such foolish notions. Also, this is the first week using a brand new video camera, straight out of the box. We had not had time to download the PDF instruction manual yet, so further improvements are expected down the road. Stay tuned and see what happens. Sermon based on Luke 6:20-23, Jesus' Sermon on the Plain. It is a Black History Month inspired sermon calling for all of us to join together in our wondrous diversity, to knit together a strong community of faith that supports everyone, at every phase of life. Come and watch. Grappling with how to handle fear, according to Isaiah. It's ancient wisdom that remains valid today. Come and join us this Sunday for worship. All are welcome! Sermon based on Luke 3:1-6, studying how John the Baptist made the way straight for Jesus in word and deed. Plenty of life application lessons in John's message for his first century listeners and us on the way of repentance and being a good follower of Christ. Come and watch. We are taking a little break before we finish Matthew. For the Advent season, leading up to Christmas, we will be studying Charles Dickens's classic A Christmas Carol and seeing what spiritual lessons we can learn from this enduring classic. We are using a wonderful study guide available through Judson Press called The Redemption of Scrooge. I recommend it to you all. You'll notice we had a little hiccup this week. It threw me for a bit of a loop and I think it shows. It didn't interrupt the live stream and I discovered how to solve it, but I wanted you to know now. Sermon based on Luke 21:25-36, showing how Jesus' glimpse into the future and his eventual return in victory has a great deal to tell us about living as faithful disciples in the world today. Watch and discover what each of us can do in the here and now, even when it seems the world is falling apart. Then again, Jesus would ask us exactly how are we looking at the world. Come and see. Revelation, that letter of vision from John to the seven churches of Asia Minor, had a great deal to tell them about surviving and serving God in dangerous times. It works just as well for us today as it did for those early Christian churches. Come along and explore the meaning of the early verses of chapter 1 and see what they have for us. Sermon for Sunday, November 11, 2018, based on Mark 12:38-44. Jesus discusses giving, generosity, and how easy it is to go astray when your society is fixated on status. That fixation easily impacts people of all levels of society. Jesus focuses on the Temple Scribes, the wealthy congregants, and one poor widow. He is particularly interested in that widow, and so will we be in this sermon on good stewardship. You are invited to listen. 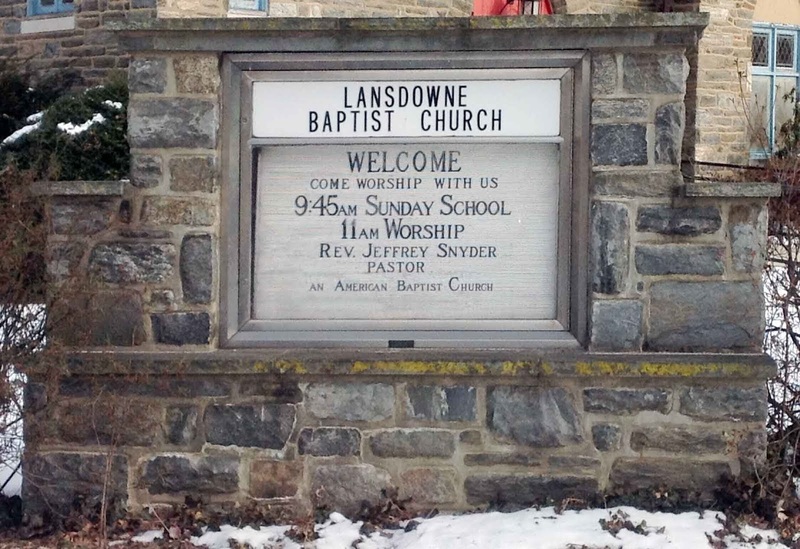 You are also invited to join us at Lansdowne Baptist in Lansdowne, PA, any time you are in town.